I will be away from UCSB (at the Smithsonian’s Lemelson Center) in the 2018-2019 academic year. I have several new projects underway. The main one is a new book for The MIT Press called Wiring the Work of Art. In it, I’m looking at several art-technology collaborations during the 1960s-90s with the focus being the activities and experiences of the engineers and scientists who paired up with artists. Connected to this, I have a courtesy appointment with UCSB’s Media Arts and Technology program. I like to connect my historical research to contemporary issues associated with technology and science including debates about the “future of work” and predictions of a “4th Industrial Revolution,” both of which relate to labor, gender, and technological change. Finally, I maintain an interest in a number of topics including: science and technology in the Cold War; how scientists adopted new technologies including computers and data handling; the history of “emerging technologies”; and the broader intersection of technology, science, and popular culture in the 1960s and 1970s. Wiring the Work of Art (forthcoming from The MIT Press). My new/next book explores collaborations between engineers and artists from the 1960s onward. It should appear sometime in mid-2020. 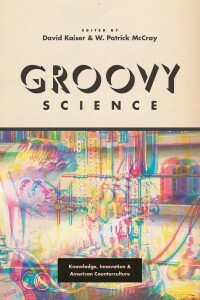 Groovy Science: Science, Technology, and American Counterculture (Chicago, 2016). Co-edited with David Kaiser, this collection of essays challenges the idea that the counterculture was anti-science. Some reviews, etc. are here, here, and here. Our local NPR station also did a story on it. 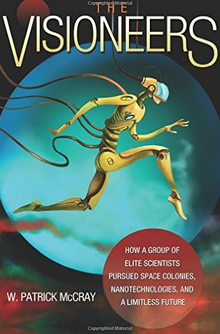 The Visioneers: How a Group of Elite Scientists Pursued Space Colonies, Nanotechnologies, and a Limitless Future (Princeton, 2013). Winner of 2014 Watson Davis and Helen Miles Davis Prize (History of Science Society) and the 2012 Eugene E. Emme Award for Astronautical Literature (American Astronautical Society). Keep Watching the Skies! 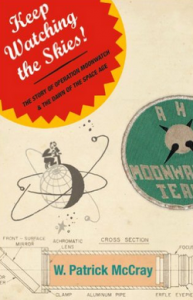 The Story of Operation Moonwatch and the Dawn of the Space Age (Princeton University Press, 2008). My third book tells how citizen scientists helped track the world’s first satellites. Giant Telescopes: Astronomical Ambitions and the Promise of Technology, (Harvard University Press, 2004). 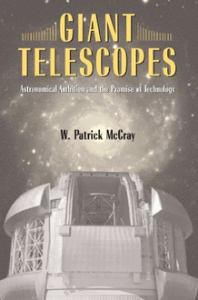 This book was super-fun to research; I got to spend nights at major observatories in the U.S. and overseas. 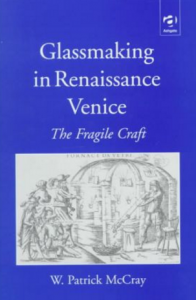 Glassmaking in Renaissance Venice: The Fragile Craft, (Ashgate Press, 1999). 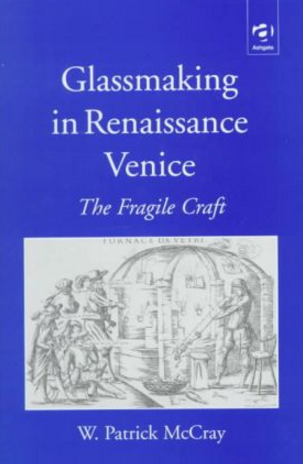 My first book presented the history of Venetian glassmaking from a consumer’s point of view and drew upon a rich array of material culture. 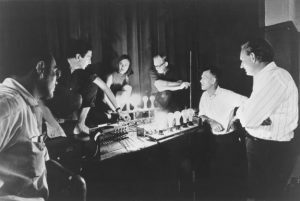 “Fallout and Spinoff: Commercializing the Art-Technology Nexus,” in Hybrid Practices: Art in Collaboration with Science and Technology in the Long 1960s, David Cateforis, et al., eds. (Berkeley: University of California Press, 2018), 61-78; this essay describes some of the intellectual property that engineer-artist collaborations produced. “The Biggest Data of All: Making and Sharing a Digital Universe,” in Data Histories, volume 32 of Osiris (2017): 243-263; continues story of astronomers’ interaction with Big Data. “Gravity and Geese,” Leonardo, 2017. Looks at German artist Agnes Meyer-Brandis & her connections to a 17th century science fiction story. “From Lab to iPod: A Story of Discovery and Commercialization in the Post-Cold War Era,” Technology and Culture, 50, 1 (2009): 58-81. How did a physics discovery made in 1988 end up in your iPod? “Amateur Scientists, the International Geophysical Year, and the Ambitions of Fred Whipple.” Isis 97, 4 (2006): 634-658. Tells of the hurdles astronomer Fred Whipple overcame to persuade his colleagues that amateurs could contribute to the IGY. “Will Small Be Beautiful? Making Policies for Our Nanotech Future.” History and Technology 21, 2 (2005): 177-203. Although somewhat dated already, this essay lays out the basic path for how the U.S. government decided to spend billions on nanotech research. 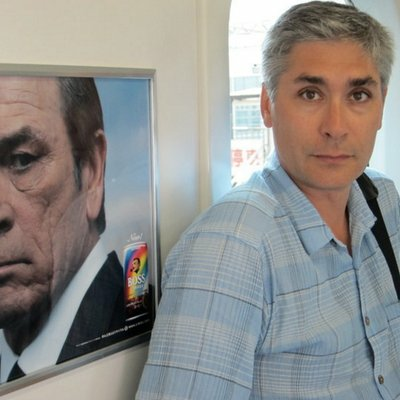 A full list of my publications and other research activities can be found on my c.v. In addition, I teach some more specialized small-enrollment undergraduate courses as well as graduate readings and research seminars. Distinguished Fellow, 2018-2019, Lemelson Center for Invention and Innovation, National Museum of American History, Smithsonian Institution. Lindbergh Chair, 2015-16, National Air and Space Museum, Smithsonian Institution. Eleanor Searle Visiting Professor, History of Science, California Institute of Technology, 2011-12. Collaborative Research Fellowship (2010-2011) from the American Council of Learned Societies. Senior Research Fellow, Institut Méditerranéen de Recherches Avancées; 2010. Co-Principal Investigator for UCSB’s Center for Nanotechnology in Society. The CNS was a ten year, multi-million dollar initiative (2016-2016) funded by the National Science Foundation that supported interdisciplinary research on emerging technologies. My working group’s final report is here. I am currently on the editorial boards of Isis, Osiris and Technology and Culture. 2019 marked the 60th anniversary of C.P. Snow’s classic The Two Cultures. I wrote a short essay about it for Science. A critique of Silicon Valley’s obsession with immortality. Buckminster Fuller: Cold War design maven or huckster? I wrote an essay in 2016 about the “cult of innovation” & the need to re-think our histories of technology for Aeon which got some airtime. In 2016-2018, the World Economic Forum invited me to Davos, Switzerland and Tianjin, China to talk about science, technology, and innovation. Some coverage of this is here, here, and here. The podcast series 99% Invisible used some of my Visioneers book as the basis for a June 2016 episode. A 2016 piece for Slate about the history of nanotechnology. A piece for The Chronicle of Higher Ed on “tech intellectuals”. Science Friday invited me to do some live radio in 2015 and 2016; links are here and here.